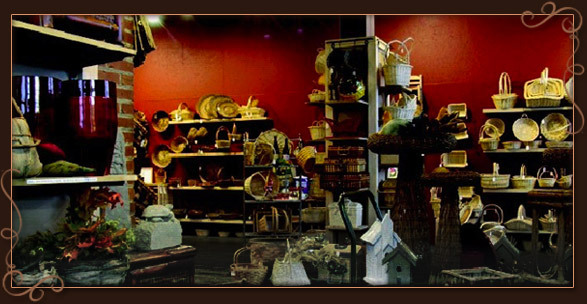 Sam Zukerman & Sons, Inc. is one stop source for gift packaging supplies. We offer competitive pricing, excellent quality and selection. With over 1,000 line items stocked year round you can be assured of availability in packaging supplies to support your Time of Year, Special Occasion, Corporate Gift & Fund Raising efforts. Our low order minimums allow you to order more frequently- freeing up your valuable back-room space and inventory dollars. We specialize in: direct, drop-ship and cross-dock programs. If you are currently using a basket not shown in our catalog let us know. As direct importers we can source the basket of your choice overseas if quantities and price dictate. Sam Zukerman & Sons' Showroom and warehouse is located in Pittsburgh’s historic Strip District, which is a 1/2 square mile area northeast of downtown. This area is home to wholesale-retail produce and ethnic food stores as well as a variety of restaurants, coffee shops and unusual gift and home furnishing business. Download times vary according to the type of connection. These files are recommended for high-speed connections. If you are unable to download the files, please call us toll free at 1.800.375.0818 to request by mail. You may use our contact us page to request the catalog and/or credit form by saying so in the comments/requests field.